Are you an audiobook junkie? Do you crave better listening material for your long commute? Do you also own a few Kindle books? Then you are in luck. Amazon, who owns the audiobook service Audible, offers huge discounts on the audiobook version of kindle titles you own. Most newly published books go on sale for FREE on Kindle, not only right after they come out, but at regular intervals afterwards in order to bump their popularity numbers so that they get noticed. Then, they put the price back to normal to allow the increased traffic generated by their popularity increase their revenues. Amazon’s list of top selling free ebooks: Note that you can drill down by your favorite topic. Awesome. Amazon’s monthly free upcoming ebook: Amazon let’s you choose to buy (if you are a Prime member) one of many newly published ebooks. Bookbub.com: A great service that sends you alerts on ebook deals based on categories you select. Project Gutenburg: Organized by category, nice. OpenCulture: Free books and courses from around the web. Amazon matchmaker service: This awesome service looks at the Kindle books you owns and shows which have companion audiobooks. And most are offered at a huge discount because you already own the Kindle version. 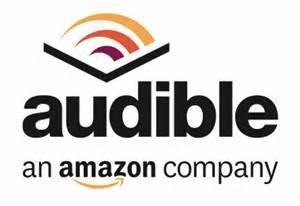 You can only give or receive one free audiobook from each friend. After that they have to pay for your recommendations. For more, see Onebook Help. Joining audible will cost you $15 a month, which gets you a token good for the purchase of any audiobook they offer, even if the retail price is more than $15. Every day, Audible can email you about the deal of the day, which is greatly discounted. About once a month, I find a great title for between $1-4.